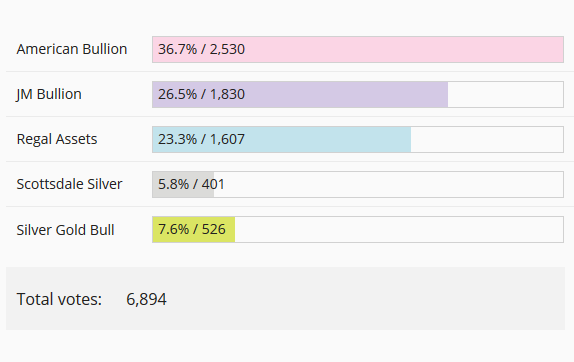 With a record number of checked and verified votes, the 2017 Bullion Dealer Of The Year vote was up almost 50% on 2016’s figures, seeing fierce competition and some incredibly close results. Both the UK and UAE saw huge polling numbers as family-run businesses fought hard against giant nationals and multi-nationals for the public vote. Thanks to strong public involvement in the initial nominations, 2017 saw a number of new entrants to the final vote, with two going on to take the crown from established winners in their first year. 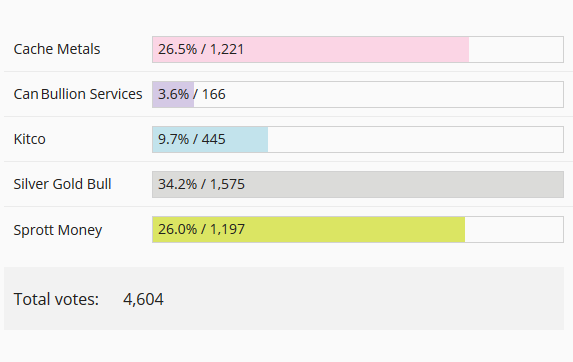 Another change for the 2017 vote saw the specialist category winners decision taken away from our internal panel of judges, instead being decided entirely by public polling performance in the main public vote. 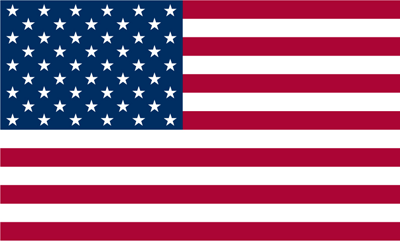 This year’s vote would have not have been possible without the hosting and monitoring services provided by d9 or the secure voting software and analysis run faultlessly by Opinion Stage. Bullion.Directory would like to thank both teams for all the help provided throughout. UK winners in 2015 and 2016 – Blackpool-based family firm Chard make 2017 a hat trick victory! 2015’s surprise winners returned to claim the UK’s top spot in 2016, winning against all odds. But to lift the title for a third time? Thankfully no-one told the Chard team about this impossibility – or perhaps it just served to make them gird up their Northern loins all the more for win they did after an all-out push for support in the last days of the vote. 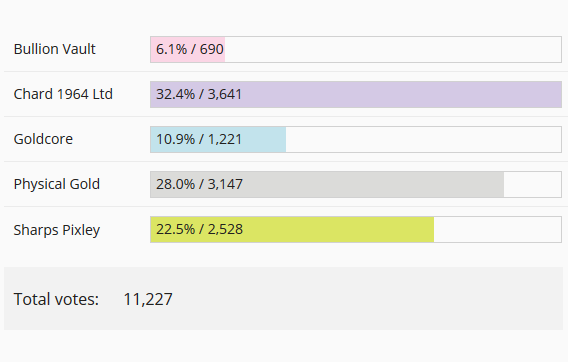 Trailing to London’s Physical Gold for most of the poll and by over 1000 votes going into the final week, it looked like 2017 would see a new winner. However relentless campaigning on social media, radio and TV saw Chard muster their loyal customers in their thousands, going on to win by a substantial 494 votes. 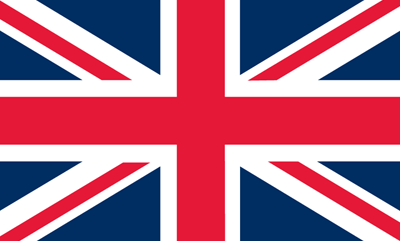 Gold retirement specialists Physical Gold finished with 3,147 votes – a number which would have seen a decisive victory in 2016’s vote, but thanks to 2017’s 75% increase in UK voting volume, this amounted to a second-place ranking. To further illustrate how well both Chard and Physical Gold did in the UK vote, had either company been in the 2017 American vote – they would have won. Degussa AG owned Sharps Pixley claimed 2,528 votes (which too would have seen a UK win in 2016) for third spot. We are absolutely thrilled to have been voted UK Bullion Dealer of the Year for the third year running, scoring a hat-trick against some of the giants in the industry. 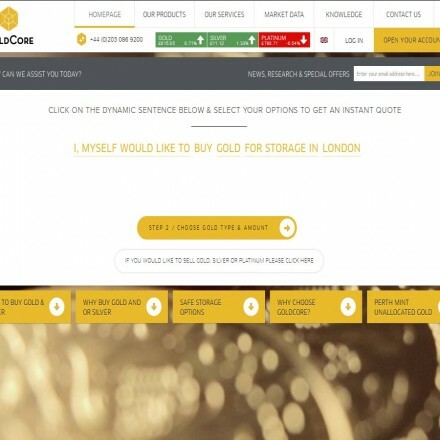 We are not the UK’s biggest bullion dealer but we try our hardest to be the best. 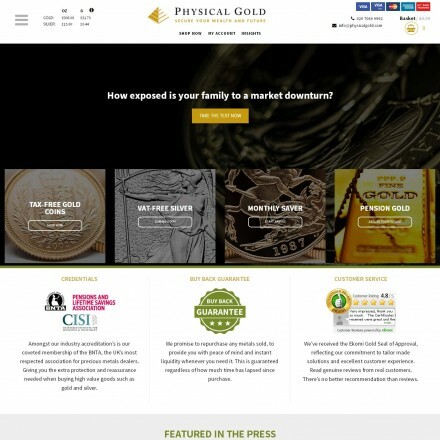 We’re no strangers to e-commerce, our first website was created in 1998 and we have over 20,000 webpages crammed full of coin and bullion information. We were surprised and delighted to hear that we had also won the International Numismatic and International E-Commerce awards. 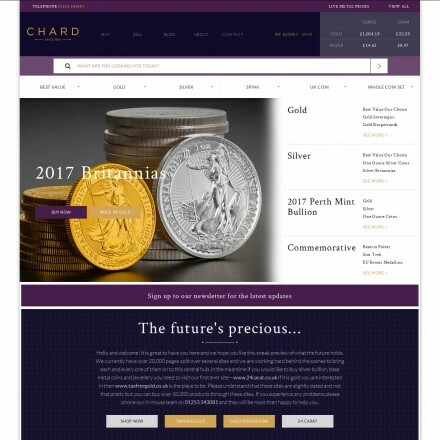 Although we have upgraded our main website chards.co.uk in the last year, it is still far from perfect, and we are continuing its development on a near daily basis to create a smoother customer journey. Lawrence Chard – Director, Chard 1964 Ltd. 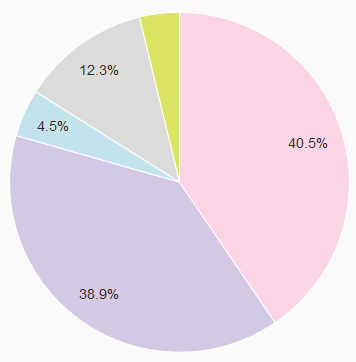 First-time entrants American Bullion poll a strong lead, pushing last year’s winners to second spot. 2017 USA Bullion Dealer of the Year winners American Bullion need little in the way of introduction, as one of North America’s leading gold retirement specialists. 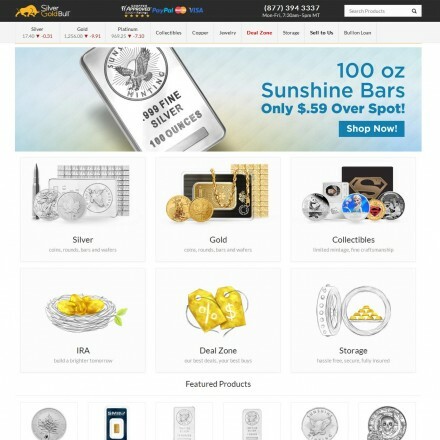 That they took the US title in this, their first year’s nomination, beating 2016’s winners and industry giants JM Bullion – is proof positive of the strong customer loyalty American Bullion have built in their 8 years of business. This clear customer satisfaction has seen American Bullion take more than a third of the entire US vote, with 2,530 votes from 6,894. This is ahead of other gold retirement industry leaders, 2017’s runners-up and past title winners Regal Assets. Regal received a very strong vote – which had it been in 2016, would have seen them take the top spot. In fact, to illustrate the strength in our top three companies and the competition at this level, American Bullion, JM Bullion and Regal Assets won a combined 86% of the US public vote. 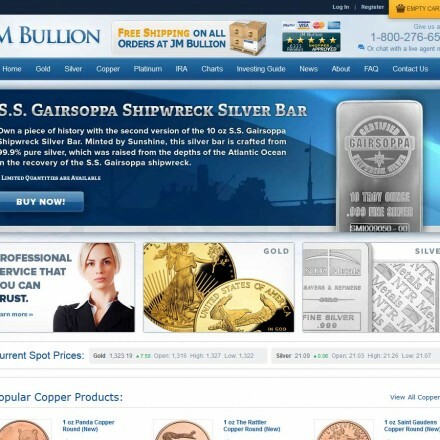 With plans for increasing market-share in 2017, late 2016 saw American Bullion receive a full site re-design coupled with renewed marketing efforts to capitalize on gold’s resurgence in popularity under a Trump presidency. Including a newly relaunched affiliate program paying commission on recommendations, 2017 should see the company make continued strong gains within what is one of the precious metals market’s toughest niches. For American Bullion this decisive win is the shape of things to come. The American Bullion precious metals team is honored to have been selected as both the ‘2017 Bullion Dealer of the Year’ and ‘Top Gold Retirement Specialist’ of 2017, chosen and voted for among a peer group of 35,000+ unique investors. 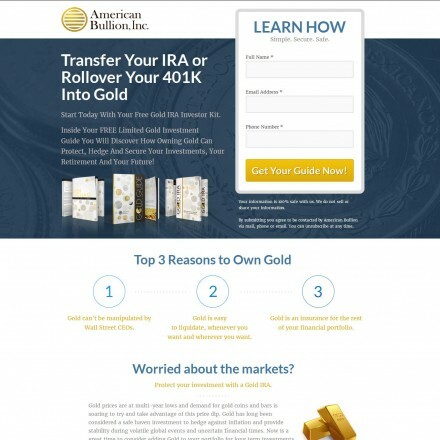 As one of the pioneers of the Gold IRA business, dating back to 2009, American Bullion’s reputation in the IRA business has harvested competition among reputable US bullion dealers throughout the years. M. Orkan OZKAN – Chief Executive Officer, American Bullion, Inc.
North American giants Silver Gold Bull lift the Canadian title for the second year running. Silver Gold Bull have taken the Canadian Bullion Dealer of the Year prize again in 2017, adding to their 2016 victory after more than a third of Canada’s votes landed in their favor. 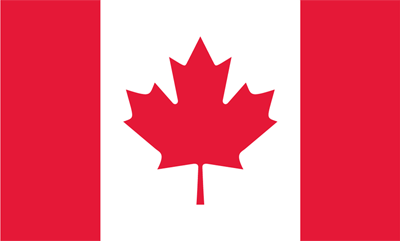 With 2017’s Canadian voting turnout being up 220% on 2016, and in what was a much tougher – and closer – fight, Silver Gold Bull took a near 10% lead for the win. 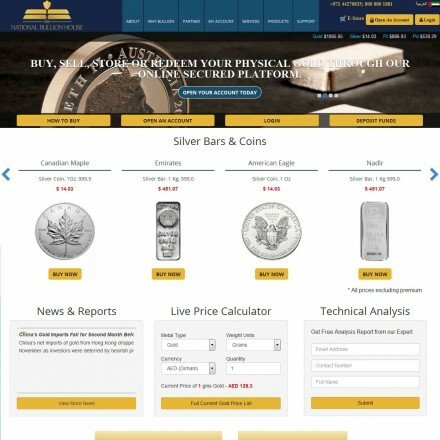 Silver Gold Bull’s price match guarantee, now rolled out across all their country platforms, coupled with low premiums and a packed catalog of investment products are seeing marked growth in all markets. 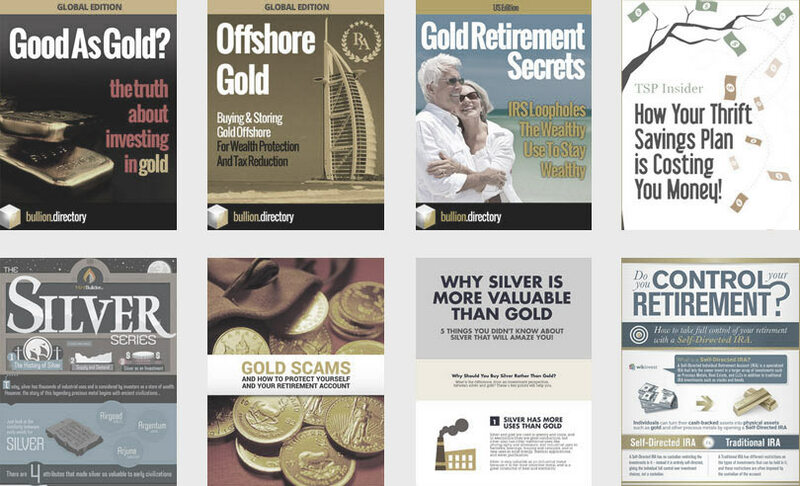 Indeed their expansion into the USA saw them pick up an additional 526 US votes and with further moves into the UK and Dubai markets, we wonder if 2018 could see Silver Gold Bull entered into 4 of our 5 national categories? 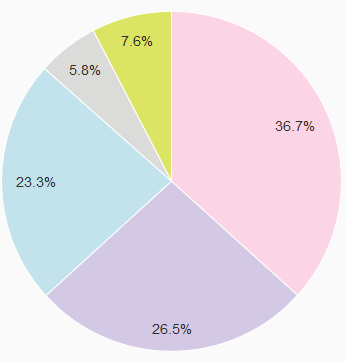 The battle for second place was won by a mere 24 votes, with Cache Metals taking 26.5% of the Canadian vote to Sprott Money‘s 26.0%! 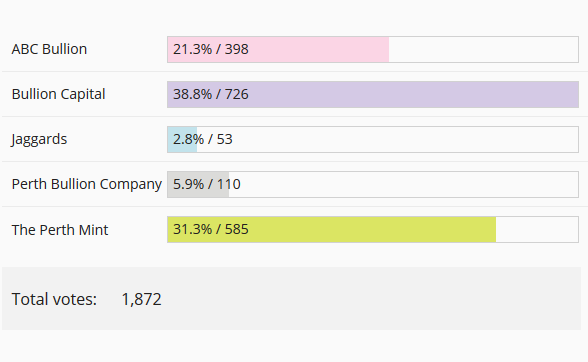 Both companies received strong polling throughout the vote, with both taking the lead several times. Much as with the UK and US votes, both Cache and Sprott would have easily won 2016’s top spot based on the strength of their votes this year. Could Silver Gold Bull match Chard’s hat trick in 2018? Watch this space. 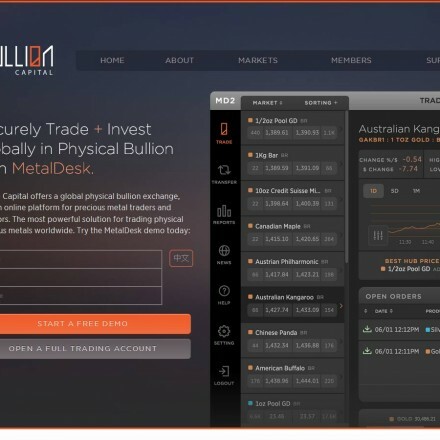 Digital exchange Bullion Capital beats two of Australia’s largest dealers to the top spot. 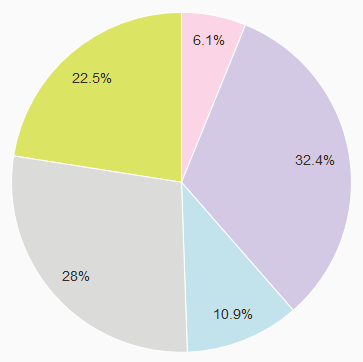 Last year’s #2, Bullion Capital took this year’s top position, with a resounding 38.8% of the Australian vote. 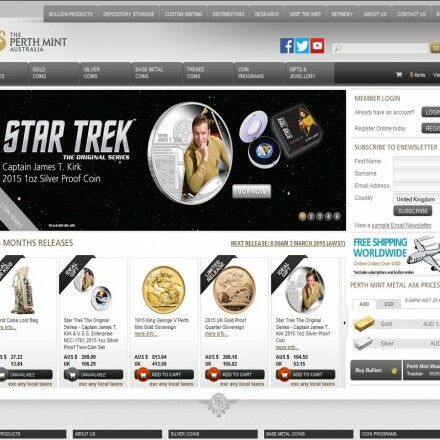 The leading digital exchange, saw 2016’s victor and industry giant ABC Bullion drop to third place, behind the world-class Perth Mint‘s second in Australia’s public vote. 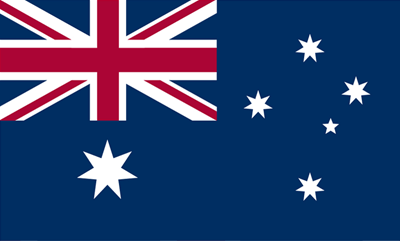 In what was our only national voting category to witness a small drop in voter turnout for 2017, Bullion Capital, The Perth Mint and ABC Bullion managed to claim over 90% of the Australian poll. Further to winning the Australian national category, Bullion Capital won International Digital Exchange of the Year for the second time – a category open to all listed companies offering allocated physical gold/silver trading and investment through a digital platform, website or app. We understand Bullion Capital have big plans for 2017, so expect they’ll be giving Australia’s giant gold refiners and mints a run for their money in years to come. Bullion Capital is delighted to have won the 2017 Bullion Dealer of the Year. We thank all our valued clients and customers who voted for us. The Istanbul Gold Refinery took a record-beating chunk of the UAE vote in it’s first year’s entry. UAE Bullion Dealer of the Year Istanbul Gold Refinery are leading the charge in taking advantage of Dubai’s rapidly growing dominance in the precious metals industry. The Turkish refinery and bullion dealer already have a strong global following and their UAE win is proof positive the company has firmly cemented a position within the “City of Gold”, the rapidly-growing international trading hub for physical gold. 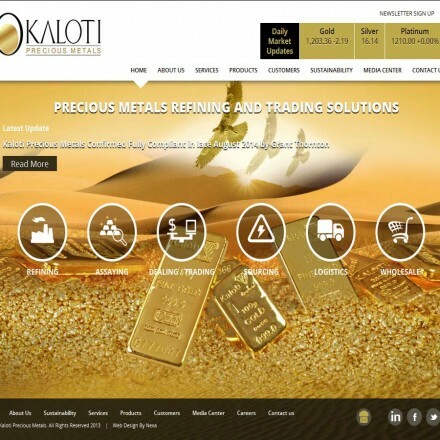 In it’s first year’s nomination IGR took the crown from 2016’s winner Kaloti Precious Metals in a very close fought battle, with both companies winning more votes and a larger share of a national vote than any other finalist in any other category. At the end of voting and after two recounts, Kaloti were only 1.6% behind IGR, from a record 10,771 Emirati votes, up 55% on the 2016 final’s volume. IGRs success in the 2017 vote is down to their broad depth of services covering all sectors of the precious metals market – which together with offices across the world – and an absolute focus of customer care, has garnered a significant volume of votes. 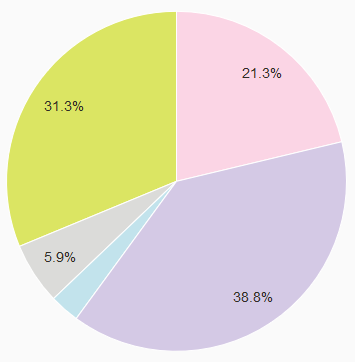 National Bullion House took third place with 12.3%, giving a combined vote for the top 3 of 91.7% of the public vote. 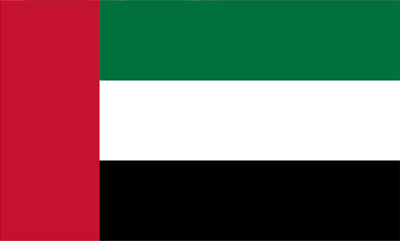 Dubai is undeniably a vibrant, exciting market offering investors in the West significant price and tax advantage for offshore storage – and it’s a segment of our directory we see going from strength to strength. We’d like to thank all IGR customers for recognizing our commitment to excellence and for their support; It is a privilege to be trusted by the audience we serve. We also thank all market players for their efforts which will always be the motive behind our progress. Being one of the best bullion dealers is definitely a reason for us to feel proud of our people as it could never happen without their dedication towards our clients satisfaction. 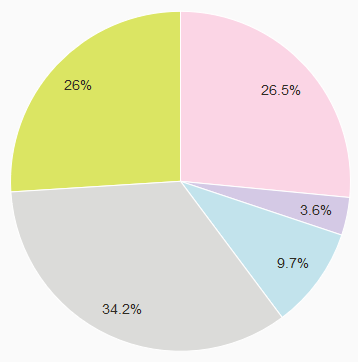 For 2017, Specialist Category winners were decided based upon the main public vote, combining the total vote with country-based percentage and overall percentage. Entry to these specialist categories is automatic, however to qualify dealers must be active in the particular category class, be nominated for, and become finalists in the main public vote. 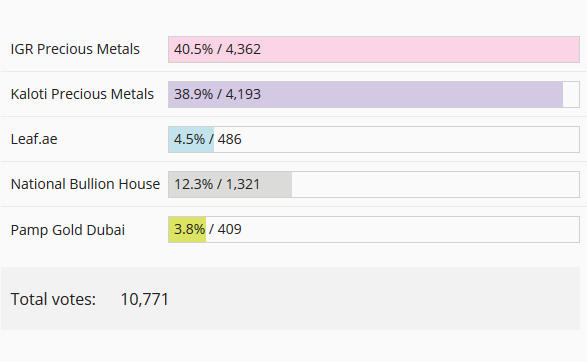 Thanks to record-breaking voting numbers and percentage of it’s country class vote, Istanbul Gold Refinery company IGR Precious Metals DMCC wins the title in it’s inaugural year. IGR Precious Metals have done exceptionally well in this their first year as finalists, beating last year’s winners Kaloti by a mere 0.5% in the global vote. Taking 12.3% of the global vote and 40.3 of it’s national vote, IGR’s win in the International Bullion Dealer Of the Year category won’t come as a huge surprise. To win three categories – national, specialist and international – and with such a strong vote, all in it’s first year’s nomination, goes to show what determination coupled with a strong, loyal customer base can achieve. 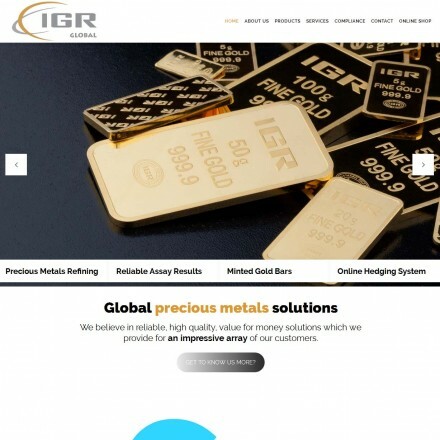 IGR Precious Metals’ parent company Istanbul Gold Refinery Co. / IGR Global is a truly international bullion dealer with offices in Istanbul Turkey, Frankfurt Germany, Madrid Spain, Dubai UAE and New York. IGR has a strong retail presence across Europe and America thanks to typically low premiums on own-branded bullion. 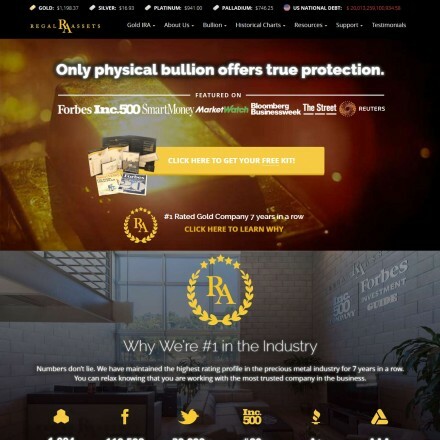 With in-house e-commerce site IGR Bullion soon to be launching in America (replacing MyGoldGram.com) and updates rolling out across it’s network of websites, 2017 is sure to see a year of further global expansion for the company. Congratulations IGR, on a well deserved win!